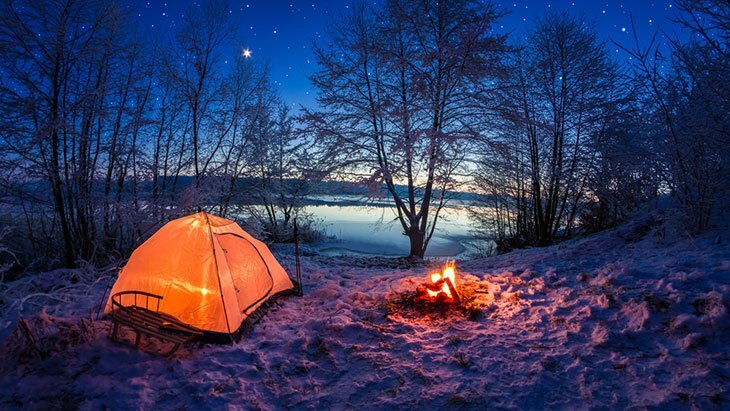 A vitally important thing to remember when camping in winters is that you should prepare for it. 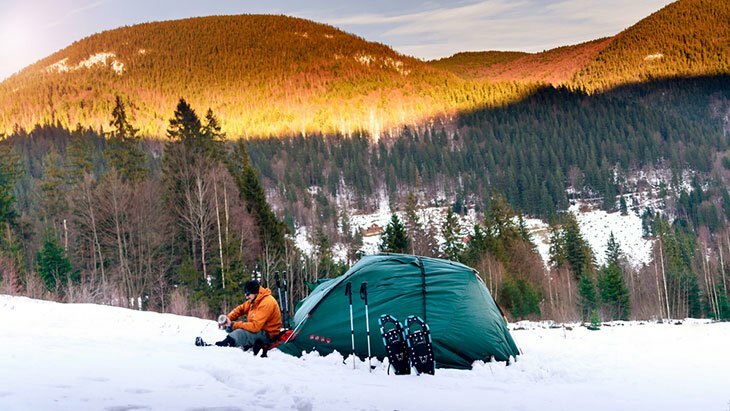 The better you are prepared for camping in snow, the more you are going to enjoy. 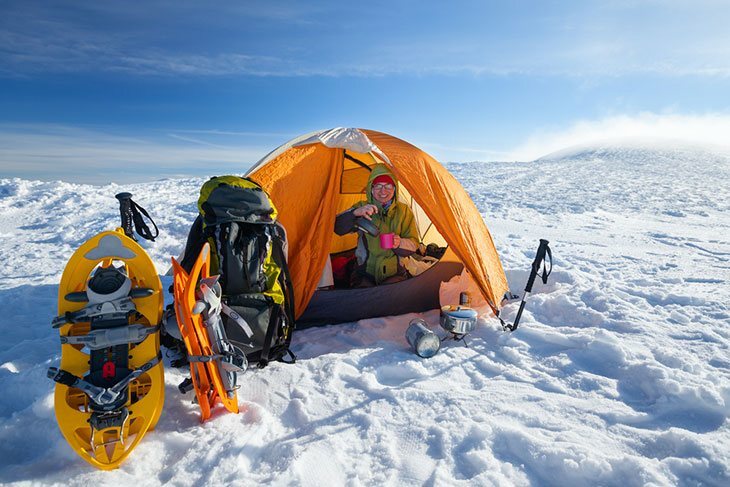 Following are some important things and tips you must consider before you head out to the snow to pitch your camp. The best way to do this is to check the weather forecast just before you head out. 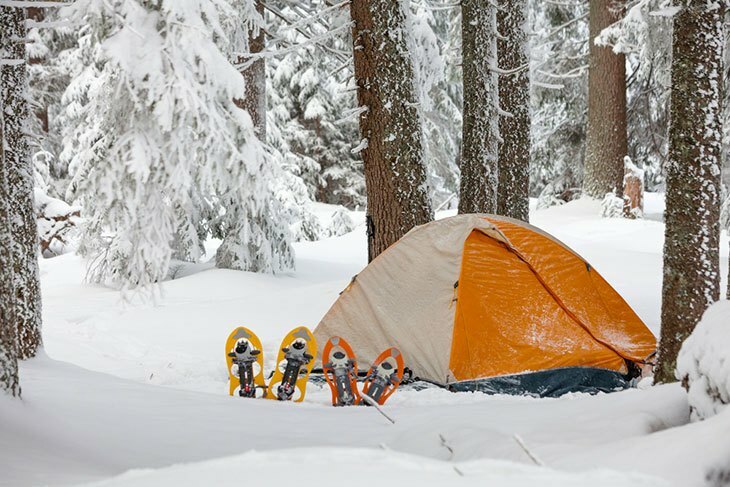 A snowy spot which is otherwise convenient for camping may become a hard place to camp at during a winter blizzard. So make sure you know how the weather is expected to turn during the time you are camping. This will help you prepare accordingly and choose the right spot to camp. If you are not dressed warmly enough, you will be cold and that will take all the fun out of your camping excursion. So make sure you dress suitably enough to stay warm. The best way to achieve this is to dress in multiple layers of warm clothes. Think thermal underwear, woolen socks, jackets and warm boots, mufflers, gloves and warm caps. Also consider whether the climate is going to stay dry or wet, and then choose the clothing items accordingly. 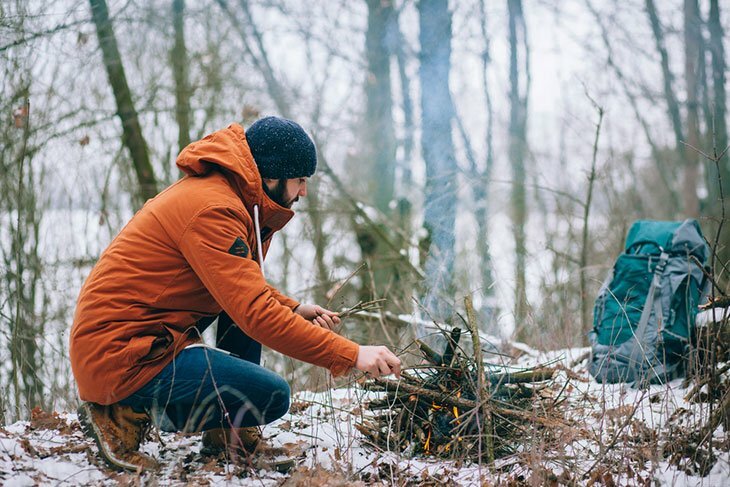 Apart from the clothing articles, the most vital pieces of winter camping equipment are a sleeping bag and a stove. The stove is going to be incredibly handy when you have to warm water, cook food or prepare your coffee or tea. The right sleeping bag will have you stay warm when you lie down for sleep at night. Make sure that the stove and the sleeping bag you get are suitable for use outdoors in snow. A sleeping bag that is suitable for winter camping should have thermal features. This will help the sleeping bag regulate your body temperature and let you catch a comfortable sleep at night. Some winter campers prefer to spend the night in their parked RV. Others like to go all the way and spend the night in a pitched tent. In either case, you need to make sure that the place where you spend the night and choose to sleep is appropriately warm. In the case of a tent, you can use water bottles to warm up your sleeping bag and other parts of the tent just before you sleep. To do this, simply melt the snow using your stove, warm up the water and fill it in sealed bottles. If you are using an RV for sleeping, make sure you turn on the heating ahead of time so that by the time you are ready to sleep, the indoors are warm enough. When you exert outdoors in winters, it quickly consumes your body energy. As a result, you need more energy to keep you going. So make sure you take good-sized and healthy meals while you are out camping in snow. Take the right foods with you which provide a solid dose of energy while also making you feel full. Think canned soups, beans, lentils or even dried meats if you can get your hands on them. Also, keep a good stock of warm beverages during the camping excursion. It’s better to go with non-alcoholic drinks like coffee and tea since they will keep you alert and focused. In summers, there are literally endless things to do outdoors. In winters, it is quieter. So you actually have to think up and plan your activities, making an effort on your own. If you don’t, you are going to lie around in your tent and spend a rather boring camping session. To make sure this doesn’t happen, plan things in advance. Take a favorite book or your laptop or tablet with you. Bring extra gear if you intend to go hiking in the snow. If you are into hunting, see if the area and the local regulations afford hunting opportunities during your winter camping. Since the winter nights are relatively longer, you will have to consider that you need to perform many of your recreational activities during the night time as well in order not to go to sleep too soon.